This week, as we head towards Christmas, cheesy pop and sugar coated carols are all around us, - so I thought I'd pull out the comic book related equivalent and match. Face it, you sung it in your head the moment you read this post's title. "Deeply dippy, I'm your Superman. 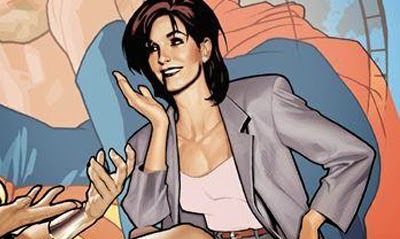 I'll explain, you're my Lois Lane." Hey Karl, Richard is bi, but oddly enough, I think he's become more known for supporting gay rights than he ever was as a singer. Well that and the time Madonna said on international TV she wanted to sleep with him I guess. Happy holidays and thanks for the comments!